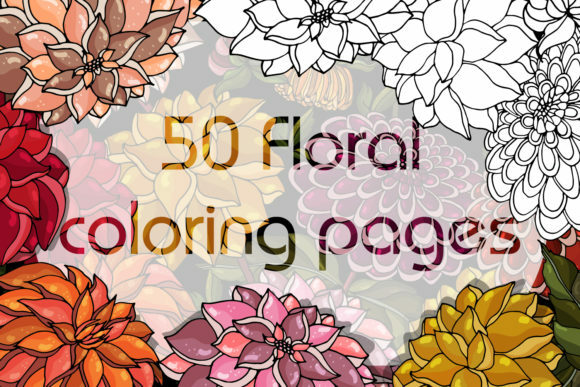 Elegant floral anti-stress coloring book for adults. Please note: these 50 illustrations are hand-drawn, then are scanned and converted to vector format so that the elements can have rough edges like original ink drawings. Please note: Fonts and mockups are NOT included in the final product. EPS files: Adobe Photoshop, Adobe Illustration.